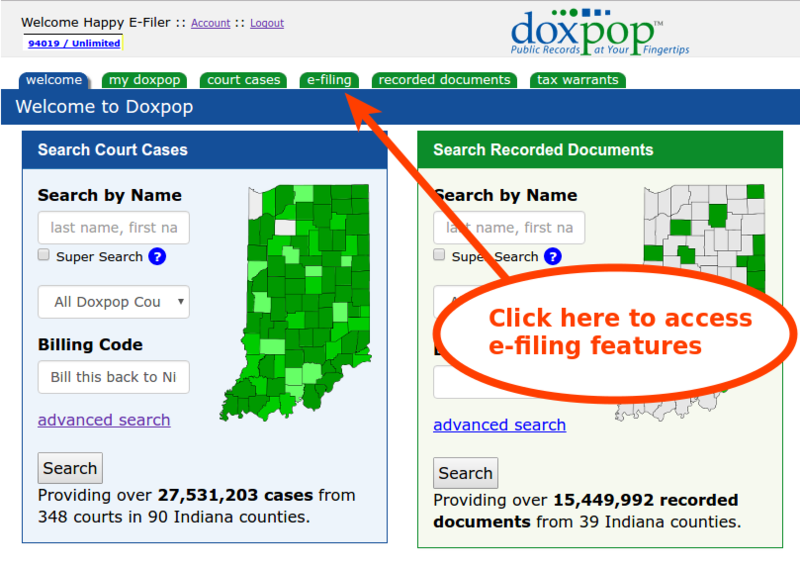 Doxpop - Tools for Attorneys and Public Information Researchers: New "e-filing" Tab replaces the menu under "my doxpop" tab. Don't get lost! New "e-filing" Tab replaces the menu under "my doxpop" tab. Don't get lost! 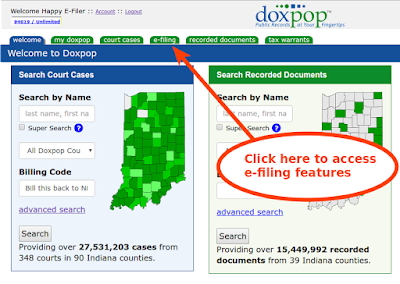 On Thursday, June 22nd we will be moving Doxpop's E-filing features to their own tab. We believe you will get used to this change quickly, but it may be disorienting for the first few hours, so here is what to expect. In the top right corner, you will find the options for locating cases to file on. All of these searches will put you directly into the e-filing screen when you locate the case. As always, if you have questions or would like assistance with your firm administration and service contacts, please don't hesitate to give us a call!